If you are a stomach or back sleeper, the Green Label Soft pillow from Restful Nights is a great option. This pillow has been featured at Comfort Inn ® Hotels and other Choice Hotel ® around the world. Its soft and fluffy feel makes it a favorite for guests. 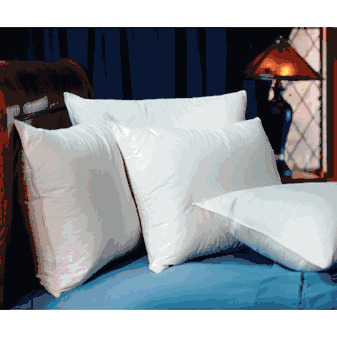 Try one tonight and feel the difference in sleep quality that this popular pillowcan provide!